Mvelaserve, which reported an 80 percent drop in net profit for the half year to December 2011, would be pursuing new business by expanding two subsidiaries into African countries over next six months according to Jorge Ferreira, Mvelaserve chief executive.Ferreira said on the sidelines of the group’s results presentation that Protea Coin Group which saw revenue jump 16 percent to R1.1 billion for the period under review and an increase of six percent in operating profit, would expand its security services to Ghana where three mining clients were setting up operations. The group had also identified additional opportunities to sell security and cleaning services to new client American Towers for which Mvelaserve is providing maintenance of cellphone masts. Mvelaserve, which was unbundled out of Mvelaphanda Holdings in 2010 and listed on the JSE in the same year, provides outsourced business support services that include food manufacture, cleaning and information and communications technology across Southern Africa. 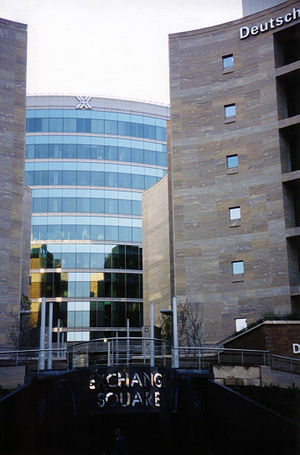 Its clients span major sectors such as banking and healthcare and include Telkom, Shoprite and Transnet. Ferreira said the group aimed to increase its contribution from business with government from “very low” to between 20 percent and 30 percent over the longer term.Investors who attended the results presentation at yesterday were however were not pleased with the company’s performance during the period under review.Although group revenue climbed 14 percent to R2.5 bn net profit for the six months declined to R17.2 million compared to R87.2 m for the same period last year due to poor performance of its cleaning subsidiary and reduced margins in Total Facilities Management Care TFMC.Profitability was also impacted by start-up costs for acquisitions made during the second half of last year. In August last year it bought 51.6 percent of pothole repair firm Velocity Road Rehabilitation for R10m and in November acquired LTP Mast and Infrastructure Services for R14m.The company had restructured its cleaning and catering business during the period and secured contracts with mining company Kumba and SAB. “It is difficult to grow this business in South Africa. It takes a year to negotiate contracts. Once they understand the concept I believe they can add value to the business,” Ferreira said.Mvelaserve fell 4.7 percent to R11.25 by 11.44 am, the largest drop since March 13 and trading at the lowest price since the beginning of the month.Investors demanded to know why trade payables had hiked 58 percent far more than revenue, why Royal Mnandi, a catering company was left to be a “problem child” for the past three reporting periods and why Mvelaserve had not realised sooner the accounting concerns that included double invoicing of clients and unprofitable contracts at Royal Mnandi.Ferreira said accountant at Rothschild was dismissed and debtors now reported weekly to Ernst Roth, Mvelaserve chief financial officer. via Mvelaserve to expand in Africa – Companies | IOL Business | IOL.co.za.